Excitation group in power resources recycling association at Automechanika Shanghai2015-Company news-JOIN EXPO （SHANGHAI）CO.,LTD. 2015 Frankfurt "Shanghai international automobile spare parts, maintenance detection diagnostic equipment and auto supplies exhibition" is Automechanika fair in Germany is one of the global brand exhibition, more than 5300 exhibitors, with a total area of 28 square meters, is the world's second largest auto parts exhibition. China resources recycling association remanufacturing branch five consecutive terms remanufacturing thematic exhibition, the key recommendation is a highlight of the exhibition and exhibition, and each session of exhibition organisers VIP leaders, guests will come to exhibition tour.Has attracted many attentions of the government and businesses. 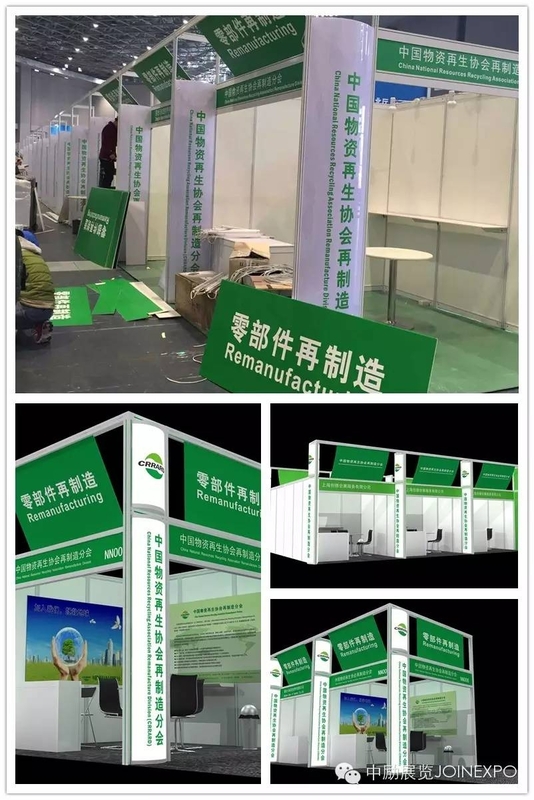 "Automobile dismantling and remanufacturing zone" will be unified booth special assembly;Special platform make full use of the fair chance to show the international auto parts remanufacturing industry in China and the overall image, certainly will cause concern about domestic and foreign merchants, and successfully promote enterprises more than single business trade.Special exhibition will be focused in recent years, international and Chinese car apart and show the latest achievements in the development of remanufacturing industry, and invited the leadership of the ministry of commerce and other relevant ministries and commissions of the state to visit guidance. The entire international exhibition by the excitation of group company and Germany unified planning and construction, adhering to the "unity", "green", "energy saving", "environmental protection", "sustainability" and "the form" as the principle, the whole booth take portable aluminum box, PVC panel and acrylic oval for main building materials, combined with graphic and product photos, fully shows the international owned by each member of the characteristics of the brand image and technology products.To hand in a satisfactory answer to the guests.